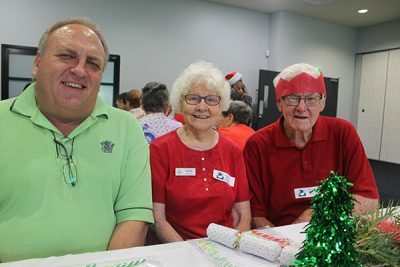 Christmas came early for Caboolture Hospital’s hard-working volunteers at a party held in their honour recently (6 December). 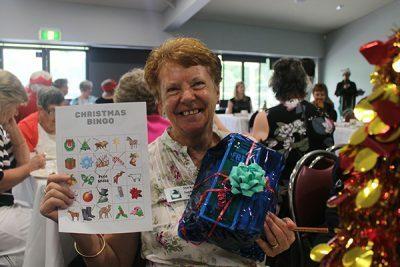 More than 30 volunteers and hospital executives attended the annual Christmas party event at the Centenary Lakes Sports Club in Caboolture. 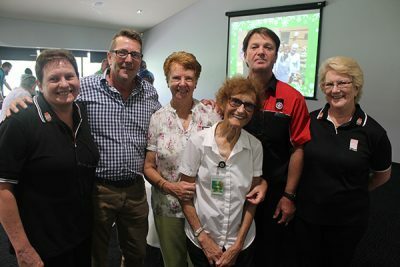 Executive Director Dr Lance Le Ray said the added support and guidance that volunteers provided to Caboolture Hospital patients, their families and the community was invaluable. “Each time a volunteer provides a welcoming smile or a friendly listening ear, it makes such a great difference to the care we provide and people’s lives,” Dr Le Ray said. “Volunteers undertake a variety of roles, such as meeting and greeting people at reception, preparing baby bundles, delivering magazines or simply having a friendly chat with patients. 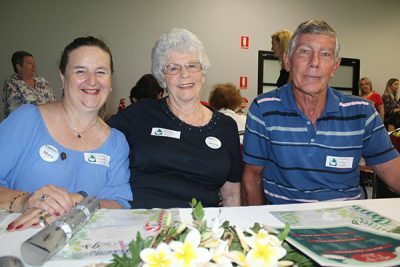 Dr Le Ray made special mention of volunteers from the Caboolture Hospital Auxiliary, which raised more than more than $274,000 last financial year through sales at the hospital canteen. “The money raised by the auxiliary is directed into patient care,” Dr Le Ray said. “Earlier this year, the hospital took delivery of a $170,000 transfer stretcher for patients requiring an emergency handover to other hospitals, thanks to the hard-working volunteers. Dr Le Ray said Caboolture Sports Club had generously donated the venue hire cost and food. “This event is a small way we can say thank you to our volunteers, who do such a wonderful job throughout the year,” Dr Le Ray said.